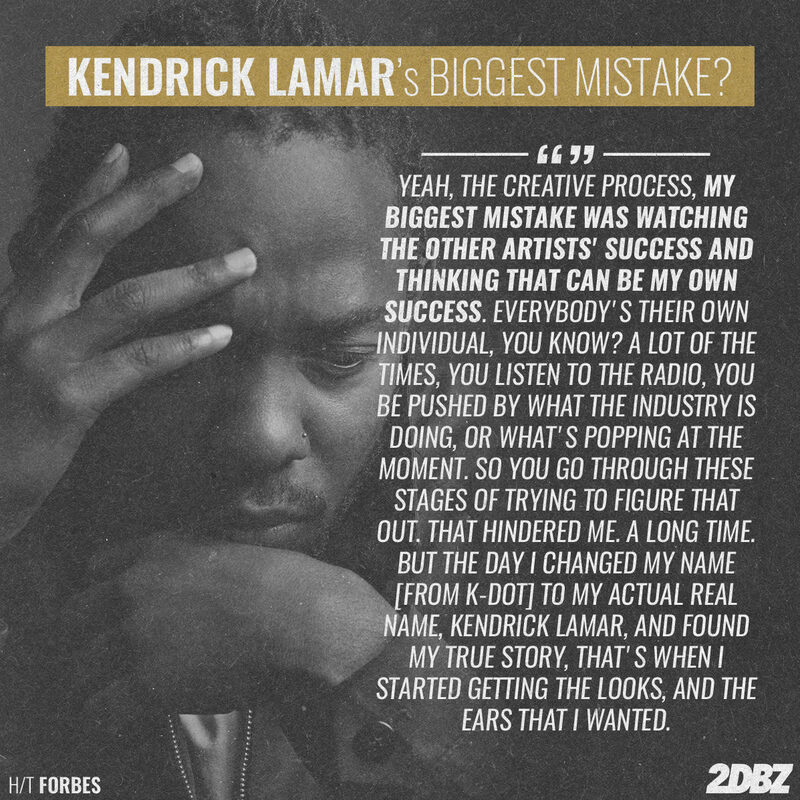 Last month, Kendrick Lamar took part in Forbes’ 30 Under 30 Summit, where he spoke on “conscious capitalism” (read: his thought-making process when it comes to teaming with brands such as Reebok and, most recently, Nike), learning the ins and outs of the business side of music, striving for perfection, destroying doubt, getting advice from Dr. Dre, and more. Now, Forbes has revealed the cover of their December issue with Kendrick on the front—providing a written transcript of the entire interview, as well. People call you a conscious rapper. How do you feel about that label? Do you embrace it? How do you define yourself? KL: Everybody have they own opinions, but … I always go back to what 50 Cent said, and it always stuck with me. And when he said it, it made an even more valid point. He said, “We all are conscious, whether you’re doing gangsta rap, whether you’re doing so called conscious rap, whether you doing whatever genre you may in because you have a post, you alive and you’re telling your true feelings … these are your true thoughts and you’re conscious of them, and you’re aware of them. You are conscious, as simple as that.” When he said that, that inspired me to not only recognize my own influence on what I have with my people. What do you think your biggest mistake is? KL: Yeah, the creative process, my biggest mistake was watching the other artists’ success and thinking that can be my own success. Everybody’s their own individual, you know? A lot of the times, like I said, you listen to the radio, you be pushed by what the industry is doing, or what’s popping at the moment. So you go through these stages of trying to figure that out. That hindered me. A long time. But the day I changed my name [from K-Dot] to my actual real name, Kendrick Lamar, and found my true story, that’s when I started getting the looks, and the ears that I wanted. I said, “I put well over 10,000 hours of just rappin’. I can rap all day, and freestyle all day and just have a thousand bars.” But I said to myself … “What will separate myself from the other artists out there?” I went back, again, to people that inspired me and inspired people that was around me and said, “Okay, it’s the connection. What do I have to connect … with the artist? What do I got to connect with these individuals out here that actually stand for something or want to hear somebody that stands for something to give them the motivation to keep going? To keep pushing through with their daily lives.” And my story, I was a good kid in a mad city. Once I honed in on that, I think that’s when the transition really made. It gave me the confidence, okay? … This is who I am, and this is what I’m comfortable with, and if you don’t like it, so be it.